The steps to connect your social accounts are slightly different depending on which plan you're subscribed to. Please refer to the relevant section below. 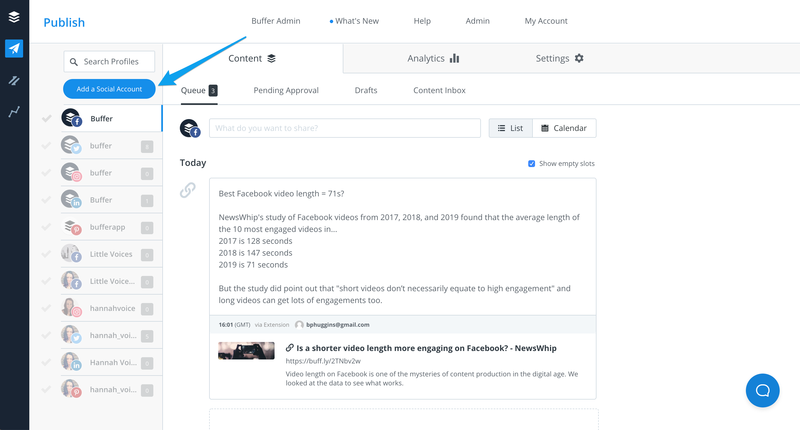 Click Manage Social Accounts at the bottom of the left hand sidebar. Click on Add a New Social Account. Click on the type of social account you'd like to connect. With most social networks, if you’re already logged into that specific social account, you'll only need to authorize Buffer to use your account. If you’re not already logged in, you'll need to enter your login details. 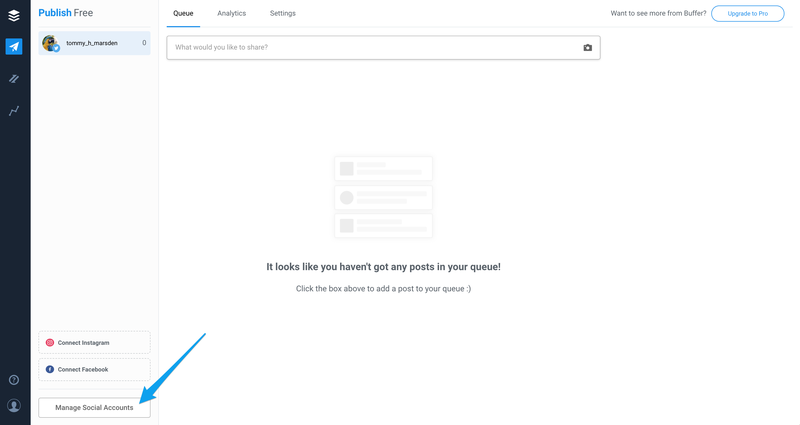 Click on Add a Social Account at the top left of your dashboard, or click on the Admin link at the top of your dashboard and then click on Social Accounts.